In February we turn five years old which is quite a respectable and mature age, we think. Because of that we thought we'd drop our lame nomes de guerre in case you hadn't noticed. Not only that, we're even showing our faces which means that we're putting ourselves on the line as we're risking getting beaten up on the street by chillwave fans angry that we didn't include their favourite song on our lists. At this point I'd like to point out that that picture unintentionally turned out pretty ironic. So, just to deny any charges, I do have glasses, but they're totally not black Wayfarers, my bike have five (5) gears, that lumberjack shirt is actually grey and black and not red and black (I'm Scandinavian after all), and although I like a good cup of coffee, I hate PBR. So there. On the other hand, we obviously do listen to music that your less cool friends probably haven't heard of, and we probably did listen to that band before they were mainstream. Anyway, best of 2013... Here's where I pretend that I listen to other genres than dance music after complaining about how hard it was to decide on which tracks were Objectively Best Of The Year. And usually these lists are cathartic all-night work. But who are we kidding really? These lists are basically just twenty songs that we have listened to a lot, played out a lot or in other ways have meant something more than other songs this year. So how do we describe 2013 in music? Again, it's hard to be completely objective. How do we differentiate between trends in music from shifts in or change of focus in our personal and subjective tastes? Especially since this blog basically just is about what a couple of dudes are listening to at the moment? Let's start at the other end then. Personally, I dove deeper into deep- and UK house this year, my focus changing away from the sunny melodies and synths of yesteryear to the rhythms of deep basslines and four-to-the-floor kick drums. But at the same time, some nice vocals never hurt anyone. And if we were to try to decipher the trends in our corner of the music world, I don't seem to be the only one moving in this direction. But more about that in future posts. Apart from dropping our aliases, we have decided to just write about the top ten to make the posts a little more manageable. We also reveal the list from top to bottom, but since this surely will turn your whole world upside-down, it won't change your reading in practicality. So, let's get to it! Holt Blackheath managed to make this epitome of the perfect UK house track in my opinion. Deep bass, warm synth stabs, sharp hand claps and soulful vocals (plus that lovely plopping sound) makes for a catchy and uplifting tune that even your mum will like. It's been one of my most-played tunes this year, both when DJ-ing and in the headphones at home. It's unbelievable that this track hasn't been picked up by a proper label. Disclosure who? Bicep what? Ok, so hardly two unknown names, especially on my lists. Disclosure had one of the most anticipated and hyped up album releases of the year, even if they were distanced by Daft Punk in that regard. We'll see what happens with Disclosure. Are they lost in the burning light of mainstream pop music for ever, or can they keep their relevance despite the success? Undoubtedly vastly talented guys we're hoping for the latter. Constantly moving forward with giant steps are Bicep, who had a couple of great EPs out, including that awesome track "Sacrifice" with Simian Mobile Disco. But my pick is their You & Me remix that was supposed to be released on the remix EP. The stream was premiered on Mixmag, but has since been removed, and in the end it wasn't included on the EP (despite being on Universal's promo copies). What's happening with it is all a mystery, but it was easily this year's best breakdown and build-up. HAIM where? Duke Dumont when? Yes, another pretty obvious name remixing and even more obvious one. HAIM sky rocketed to stardom this year, and deservedly so with that album of theirs. There were a couple of originals in contention for this list, but in the end I went with the Duke Dumont remix. Dumont, who was close to making the list on his own with his "Need You (100 %)" that made it to the top of the UK singles chart. If the Bicep remix above was the build-up of the year then this was the intro of the year. The track that probably stands out the most on the upper half of the list is an acquaintance we made through Auxiliary Tha Masterfader's awesome remix that blew our minds. Obviously Aux knows how to make that sweet Moroder-esque disco, but you can't take away that the original, which makes me think of Will to Power's classic "Baby, I Love Your Way", is truly great too. Tough choice between the two, but I'll have to choose Germans' original slow dance, to balance the list a bit. Sorry Auke! A productive year each from Waze & Odyssey and Citizen with, among other things, strong releases on Kerri Chandler's MadTech label ("Be Right There" and "So Submissive" respectively). Not only that, but they had the good taste to remix each other's tracks too. All four of them were favourites this year, so why not let the three of them share the spot with these atmospheric synths and perfect garage beats? Another moody UK house track that I've enjoyed this year is Joey McCrilley's remix of Tâches' "Vegas". One of the reasons is that it so clearly shows the drum and bass DNA of the UK garage movement, with that driving sub-bass and toned down kick-drum that doesn't emerge until halfway into the track. On top of that it's just a great song. I generally never listen to the actual lyrics in music, but the phrase "I see your stupid eyes" always sticks out when I listen to this track. I hope for more songs about stupid eyes in 2014. Starting to see a pattern here? John Newman has a great soul voice, and Wayward is another very talented British production duo. This track resembles the one above in many ways, but it has a much straighter house rhythm. Still, great vocals and great beat. 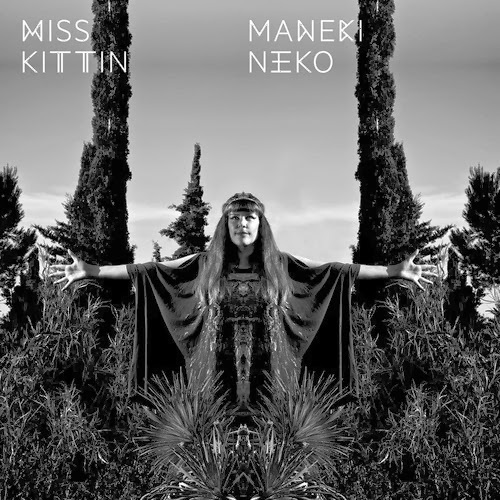 "Epic" is an adjective that we probably throw around a little too easily, but M A N I K's rework of this Bat for Lashes song is just that: a musical journey through different temperaments and styles. One second it's introverted, psychedelic IDM, and the next second it's an uplifting party banger. Ok, party banger is perhaps an exaggeration, but an utterly danceable house tune isn't a misrepresentation. Speaking of utterly danceable, Dusky's "Careless" was a track that we competed in putting on first when playing together. It's the sort of track that is perfect to mark a change in gears. Those who recognize that signature bassline immediately know what's up (and since "Careless" sat on top of most download charts, they are many), while those who don't know the track always warm to that vocal hook. One of the newest tracks on this list is Hackman's "Change My Life", released a couple of weeks ago on vinyl. It's always risky to add such an obvious current favourite to a best of list, but this track just can't be overlooked. Chances are I'm being too hard on it, because it sure has a giant bullet next to the chart position. That growling sub-bass and that double-bass on top of it makes it extremely funky. Add lovely organs and vocals and it makes for one sweet track. 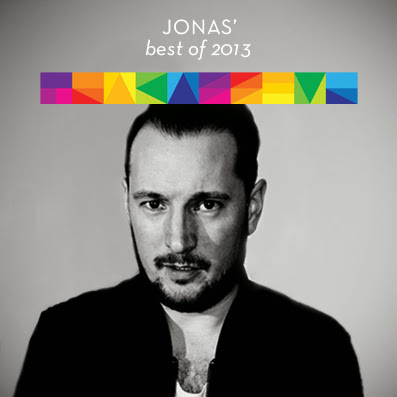 2013 is soon over and it's time for us to summarize this year music wise. The highlight of the year kind of. For me it has been a superb year when I look into the rear-view mirror, both when it comes to music and how my life has been. Maybe the two are connected? As always it's super hard to narrow down a great year of music into a top 20 list and as always a lot of splendid music had to be out of the list. Some of the tunes that will be out of my top 20 will make it into our Spotify Top 100 list that will be out in a couple of days. 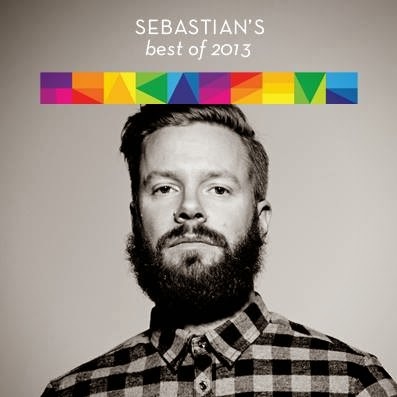 Here are my selected best of 2013 tracks and I hope you will dig these tracks as much as I do. The list consists of everything from deep house, tech house, nu disco and chillwave. This is our way to say thanks to you Tracasseur fans out there by making our Best of lists. Enjoy and see you in 2014! This is a nice bunch of people that came together to produce this #1 track of 2013. Noir (a.k.a. 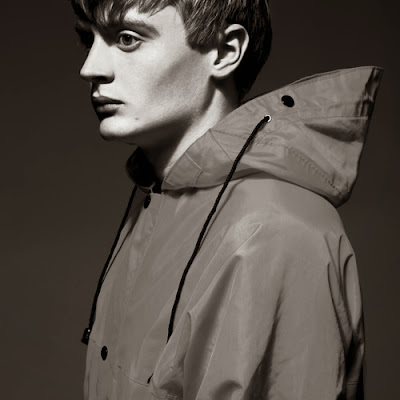 René Kristensen), Haze, Ron Costa and Compact Grey made this collaboration and I'm very happy for that. When it was released this summer it hit me hard and it was such a sweet tune to put on during our sets. "Around the Bane" has also been hanging on in the charts over at Beatport for a long time, well deserved! Ohh, how much have I played this remix this year? In my home, in my car, in the clubs, yeah almost everywhere I have been. Love Lee Van Dowski's take on Rebelski's already great track. This is been my anthem of 2013, especially during the summer driving around with friends in the car. And what points a really superb track is that you never get tired of it. Le Youth released this debut single "C O O L" in June with a bunch of good remixes. 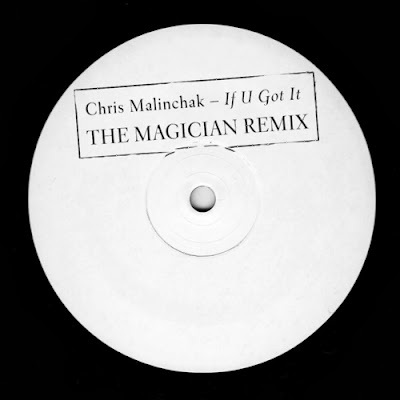 In the beginning I fell for one of the remixes until I re-discovered the original, that is such a sweet pearl. So in the end it was no doubt that the original should make the list, and it finally ended up in the top 3. 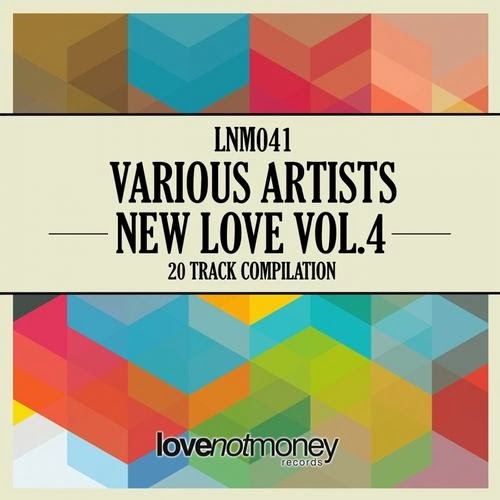 Love the tropical vibes that harmonizes so well with the nu disco and RnB sound. If we're talking about anthems, Groovebox's "Brooklyn" has been our anthem when we've played the whole summer and autumn on the dance floors. It's such a banger on the floors and every time we get into the right mood. It's tech house at its best! Josh Butler made a mighty fine original with "Got A Feeling" and Bontan made an even deeper remix of it and it became accomplished when Pleasurekraft put the final touch to it. A gem made in a three-way-step from three brilliant producers. We got the feeling! The first down-tempo track on this year's list. Because we also need some really sweet chill sounds in between the high tempo. With Koda, we can all find that beautiful sound that make you dream away. This tune is so winsome and so amazing. Round Table Knights, the great Swiss duo that always releases major tracks. "So Good" is one of them. Been a favourite since I first heard it and it's still a tune to play in my set. I can't count how many times people have come up to me and asked what track it is. That, I would say, is a pretty good gradein how good this tune is. The Berlin-based duo Tale Of Us gave us this magnificent remix of Mano Le Tough's "Primative People" this year. Wow what a remix then! Love the sound of the xylophone (or glockenspiel?) that goes through the whole track. Genius tune! Another Berlin-based producer, Ninetoes hit us up with this sweet semi-tropical deep house anthem. The track was actually kind of the anthem of Garden Festival in Croatia this summer. Once again proof that Ninetoes have created a modern classic. I actually fell in love with this sad and beautiful tune right away when I heard it. The original from Wet is as beautiful but Eest Coast have pitched down her voice and put his style onto the track so it became even sadder and even better. Nice work from Eest Coast! Chris Malinchak's "If You Got It" was one of last year's best tracks, and it's one that still spreads that warm feeling every time you hear it. That means two things if you want to remix it: it will be hard to make a completely crap version. But it also means that there is a huge risk that your audience will be greatly underwhelmed by the result compared with such a great original especially if you make something completely different. So, embarking on such a venture is a bold move even if you're a producer of The Magician's calibre. And how does he fare? Why, very well. Very well indeed. Stephen dares to do something different, but still awesome. Not only is it just as funky as the original, but it is so in more of an uptempo party kind of way, whereas the original is much more mellow. In a way I also think this track sums up the nu disco/deephouse fuse that we've seen over the last couple of years, with it's deep bass and catchy synth stabs. And obviously it's a fuse that Stephen has played a big part in. Quite a trick you pulled off there maestro! Follow The Magician and Chris Malinchak on Facebook. Meet Kygo, a young Norwegian guy from Bergen. I don't know how, but I've missed out on his amazing remixes and edits, but now I've found me a treasure, bigger than Blackbeard's. First I stumbled upon Kygo's edit of "Jolene" and was about to make a post about that nice edit. While starting writing the post I started listening to his other tunes on his SoundCloud. The edit of Marvin Gaye was also a gem and then the remixes of the British folk band Passenger got me hooked. There's not a bad remix on Kygo's SoundCloud, all the edits and remixes are bloody fantastic. His tunes, the first not older than nine months moves from slower deep house vibes to Caribbean chill out vibes. His last tune, the remix of Ed Sheeran is a piece of beauty. 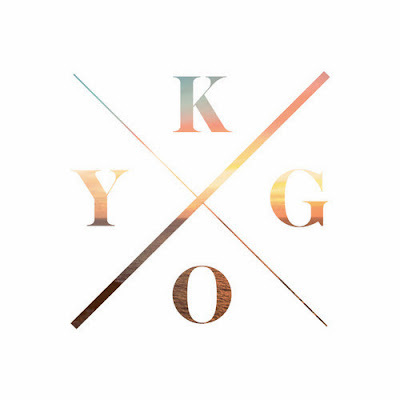 I love this and you are about to get Kygo hooked! All tunes comes as free download and there are more nice tunes over at his SoundCloud. Today awesome Bristol label Futureboogie releases their latest gem. And it's a real gem even by Futureboogie standards. 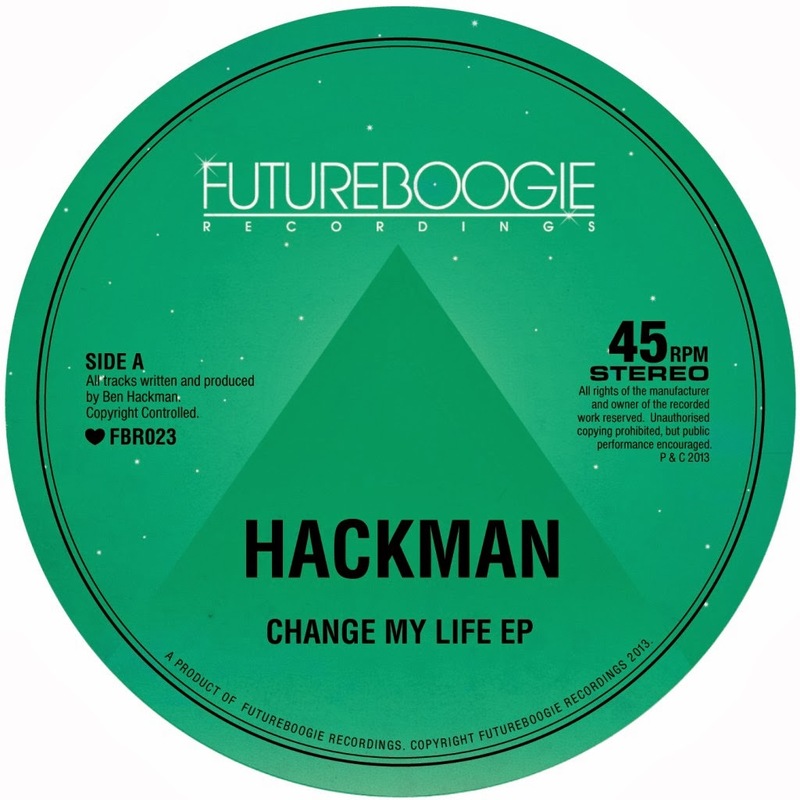 Hackman's Change My Life EP include three strong tracks with soulful vocals, jazzy organs, deep basslines and funky percussions. My pick of the bunch is that divine title track with the bass sounding like a proper double bass (bass guitars are for amateurs). Now, there's only one downside, and that's that today's release date is for the vinyl. The digital version seems to be out early next year, according to Juno. 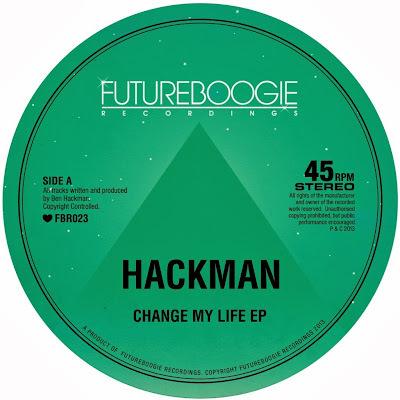 Hackman had another release on Futureboogie last spring together with buddy Jabru, calling their project Bruh Jackman. Still love that "Just to Keep". Redondo remixes Skee Lo classic "I Wish"
Redondo, who made the best remix of Daft Punk's "Get Lucky" earlier this year, also have made this bootleg remix of a Skee Lo classic. 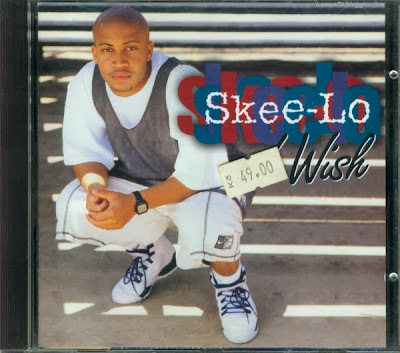 Skee Lo is most famous for "I Wish" from 1995 and I remembered it as a sweet and fun piece of music. Redondo have made the track into something more deep, cool and less fun, in a really good way. Great work once again Redondo and it's free to get. 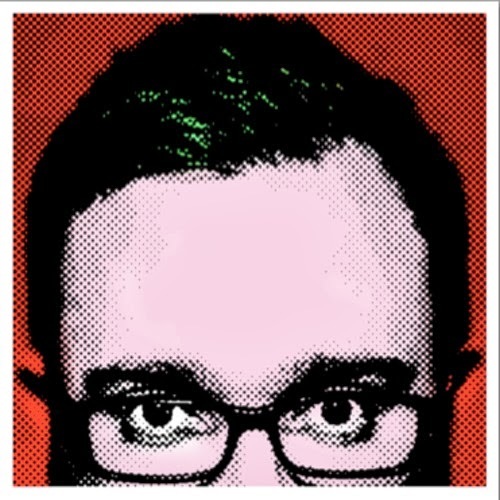 Awesome producer and Rinse FM host Shadow Child has a great album/compilation aptly called "Collected". One of my picks is the collaboration with Sinden. Both releases is out now on great label Food Music. Here's a huge party banger that I've been listening to a lot lately: Tommy Vercetti's "Good Feelings" (out now on great UK label Love Not Money's latest compilation New Love Vol. 4). The choice of moniker is kind of ironic since Tommy makes house with a distinct UK flavour and not the sort of retro 80's nu italo that the used to post all the time a couple of years ago and that the protagonist of GTA: Vice City perhaps more likely would listen to. Anyway, great work from a producer and label worth keeping an eye on. The track contains a very small part of a very famous sample that Alex Metric used with great effect in this track. The part with the sample over those breakbeats is truly awesome, but I can't tell if the drop is ghetto bass or horrible EDM "electro haus". Someone must have made an awesome edit of it. Obviously that sample forever became a meme in the collective musical mind after this huge hit by Junior Jack. Few of these tracks beats the original by Cherrelle featuring Alexander O'Neal. I wonder what Cherrelle thinks about Alexander stealing all the thunder with his verse? You'll also note that the original vocals have a completely different rhythm, and if you, like me, heard Junior Jack before the original, you'll think Alexander's singing sounds off-beat. Anyway, awesome song that really shows the origins of soulful deephouse. This weeks we could read in the news that the Swedish school system is doing pretty badly with dwindling results. I don't know how the British school system is doing but judging by the spelling of some pretty important acts, maybe we're not alone in the shitter. Young lad Lxury had a great EP debut with J.A.W.S. which was co-produced by Disclosure. With his remix of favourites CHVRCHES he shows us that he gets by just fine on his own. You can pick up the Lies EP on iTunes (provided you're in Britain and isn't too picky about sound quality). The rest of us will have to wait till it's available elsewhere. Welcome back to the world's best (laziest) blog! As a wise man once said: if you happen to listen to a song you like, just splash it up on the blog - you don't have to write a thesis about it. So, in no particular order I thought I'd do just that: post some new and not so new songs that I happen to like at the moment. First up is Château Marmont's electropop take on Miss Kittin's almost a month old Maneki Neko. Château Marmont must be one of the most underrated French electro acts. They ride on that French electro wave, but always with their own take on things, and they're always delivering. Pat Lok is back with this track available for free download if you just 'like' his Facebook page. But of course you do that already. Pat describes it as a house jam with all them sampley chords the kids like. Which is obviously true.